The outrage in Canada over the liberal government’s intention to collect the banking data of up to half a million Canadians for statistical purpose continues to grow. More political parties are calling on the government to put the policy aside. Meanwhile, the state is trying to explain via newscasts why it needs the public’s data. Already several years ago, the conservative government of PM Harper decided to eliminate the long-form census, which collected data about housing, transport, employment, income and other key attributes required by various tiers of governments to plan and deliver public services. The protest from then chief statistician Munir Sheikh led to him resigning his position. Related coverage: <a href="https://thegoldwater.com/news/40812-PM-Trudeau-Astonishingly-Seizes-500-000-Canadians-Banking-Data-Without-their-Consent"> PM Trudeau Astonishingly Seizes 500,000 Canadians Banking Data “Without their Consent”</a>. This time round, statistics Canada, the agency that collects data on Canada’s economy, society and environment, says it wants to provide decision-makers with key information to function effectively. 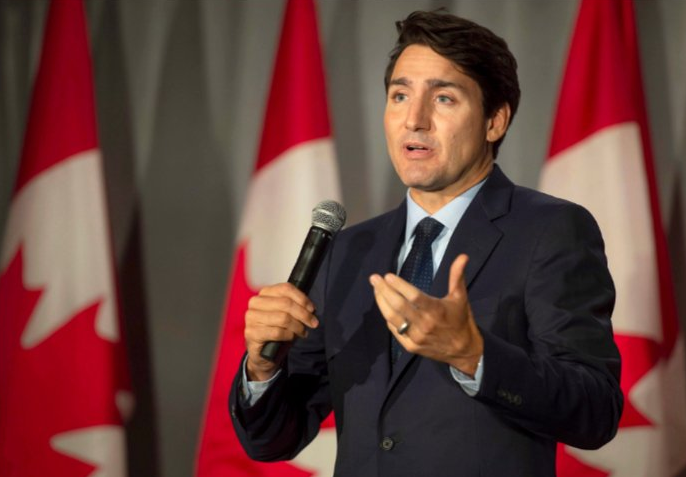 Explaining that any personal data would be left out of the equation, Mr Trudeau’s government needs to know, for example, how much you spend on bakery products per month in your region in order to make a decision on whether or not to give more support to struggling bakeries in the area. However, with big data scandals all the rage this year like Facebook’s Cambridge Analytic which affected 90 million users and Uber’s financial transaction scandal affecting 57 million customers, Canadians are understandably worried. Furthermore, it is safe to assume that government computer servers are less immune from infiltration than the ones operated by Silicon Valley. With all this and knowing that the government will not inform Canadians whether or not their data is being looked at, the policy is proving very unpopular indeed. Trudeau has been an embarrassment to this country on an international level. Now he wants to continue screwing us over by turning Canada into a Police State. Why a drama teacher is "leading" this country is beyond any intelligent Canadian's comprehension. Moronic failure… HE NEEDS TO LEAVE. I`m sorry you Canadians swallowed the globalist hook so deeply. I pray the Canadian people are able to spit it out before all hope is lost.